Most arcade cabinets do not have their own speaker amplifiers. 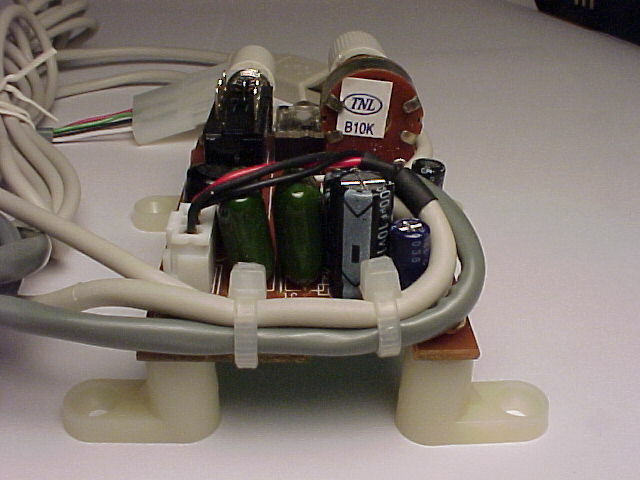 They relied on the original arcade board to provide an amplifed signal to the speakers. When you build your MAME cabinet, you'll need to amplify the line-out signal from your PC sound card before passing it to the cabinet speakers. An easy way to do this is by hacking up a cheap pair of PC speakers and using the amp. Most original arcade cabinets had fairly small speakers and the game boards had low power amplifiers, so you don't need to waste money on anything expensive to get authentic sound. 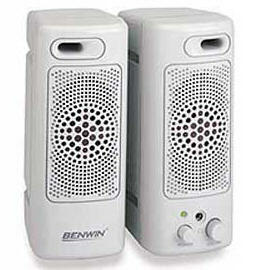 I chose to use a pair of Benwin SP691 USB powered speakers for this project. The reason I chose USB powered speakers was so that I didn't need to have a separate power brick and outlet inside my cabinet. Also, they turn off and on with the PC, which is pretty handy. There isn't really much to this "hack". It's really just a simple matter of opening the speakers and pulling out the amp. At first, I was planning on just slapping some double sided tape on the amp and sticking it to the inside wall of my cabinet but after looking at it a while, I thought that it would look more professional if I used some PCB mounting feet. 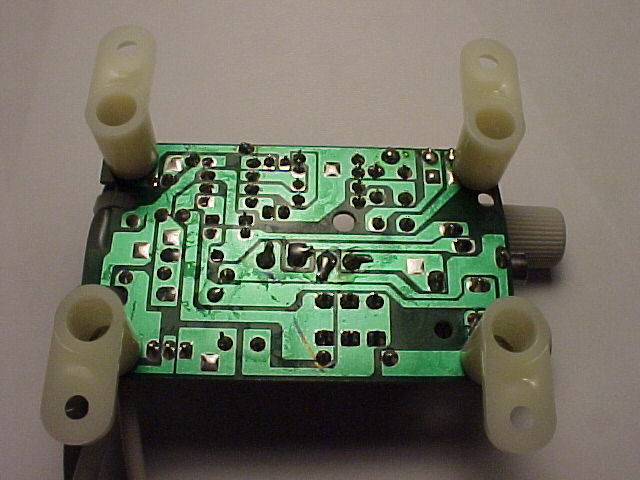 The problem was that there were no mounting holes in corners. So I got out my dremel tool and made holes in three of the corners. The fourth corner had a resistor in the way so I de-soldered it re-routed it away from the corner so I could drill the final hole. The other thing I did was wire a proper connector for the speakers. 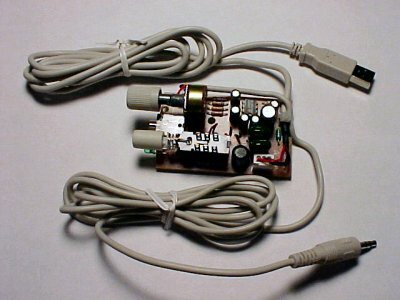 I soldered on a length of multi conductior wire and terminated it with a Molex connector that mates with the harness I made for my stock cabinet speakers. 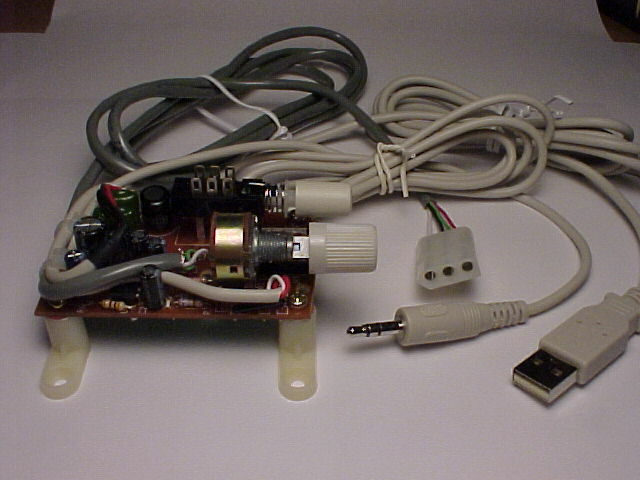 Note that this amplifier is pretty cheap and uses a common ground for both speakers, which is why the speaker connector only has 3 pins. 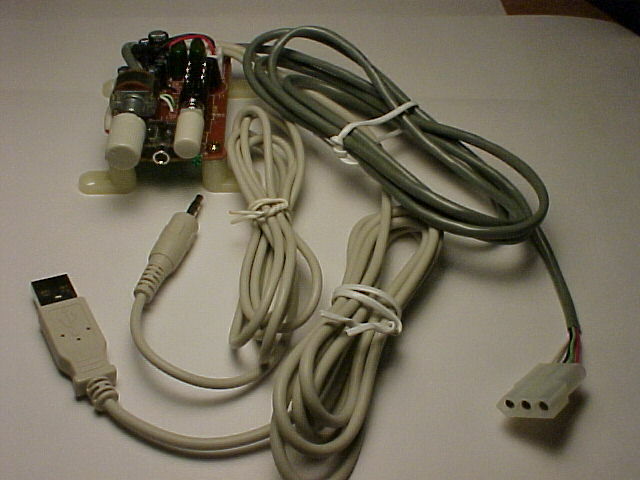 If your speaker amp has has separate left and right grounds, then use a 4-position connector. Here's a stock photo of the speakers I started with. 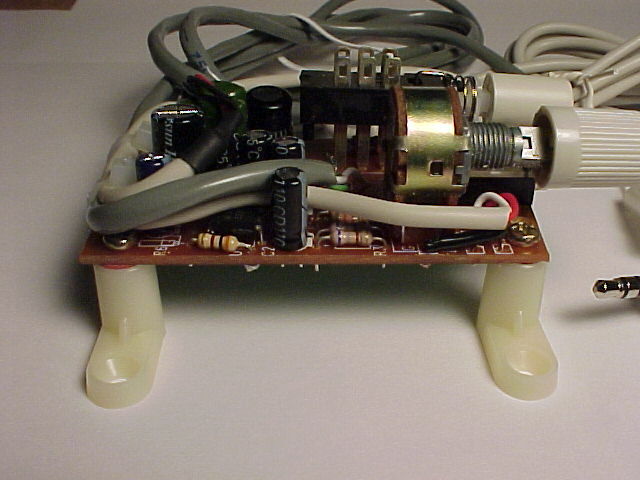 This is what the amplifier looked like after I removed it from the peakers.